Not just a Liferaft Story - a Life. In 1998 a hellbent young doctor was rescued from a liferaft in the gale strewn Tasman Sea. WINDSWEPT is his unique story. 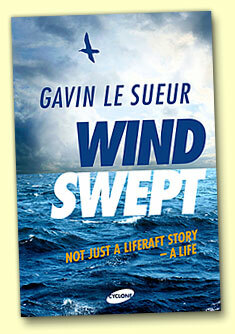 "WINDSWEPT is an inspiration, a love story and a philosophy. It is also a great adventure. It's the stuff of films." Hailing from a small Victorian country town, on his way to disaster he had windsurfed for a month along the rugged Australian coastline, survived a desert crossing on a land windsurfer, battled a cyclone while racing a shorthanded catamaran and married his first true love. The love lasted less than a month but the adventures on land and sea rolled on. A true tale of how a young man spreads his wings, plying a course fraught with disaster, turmoil and tragedy on the way to realising his dreams. Windswept is an inspiration, a love story and a philosophy. It is also a great adventure. PLEASE NOTE: As this book is only available as a downloadable eBook, once your payment has been received and processed we will reply via email with a link and instructions for your online download. Please ensure you provide your correct email address! eBooks are available as either an ePub or a Mobi file to suit your eReader device. ePub is suitable for most e-Reader devices and Apps like Apple’s iBooks, Barnes & Noble’s Nook, Adobe Digital Editions, Aldiko on Android among others (in total there are nearly 300). Amazon Kindle is an exception as it does not support .epub files and Mobi is suitable for these devices. Please use the respective order form below that corresponds to your required file type to suit your eReader device. All dollar amounts are Australian Dollars. "Required reading ... great humour ... bold ... enriching. 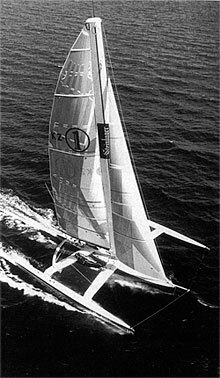 The sailing is part of a greater mosaic which contains many of the elements tackled in literature; life, love, hope, disappointment, confusion, joy pain." "Passion for life, on and off the water, has pushed LeSueur into some bizarre, heart wrenching experiences."